Serenity spoon rest makes a messy job look good! 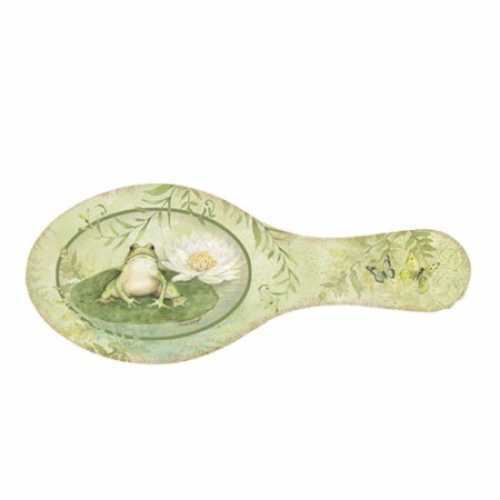 Durable plastic with frog/pond design. Measures approximately 9.5" x 4".